In the United States, a laptop is stolen every 53 seconds. Â And 12,000 laptops disappear in U.S. airports each week. Â The only way to prevent this from happening to you, other than not leaving your house, putting bars over your windows and doors, or locking your laptop to a wall, is to use a laptop tracking system. The most popular service and most reliable is LoJack for Laptops by Absolute Software. LoJack for Laptops is a software-based theft recovery service, where in a theft, LoJack for Laptops will “track, locate, and recover stolen computers”. 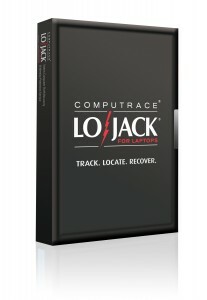 Â Lojack for Laptops uses top-of-the-line recovery techniques, such as GPS and Wi-Fi tracking, and Data Delete. If all fails, you can be eligible for a Service Guarantee payment of up to $1000! Starting at only $39.99 for a one year subscription, it’s something I suggest you getting it for whatever you do — school, work, and travel. Not only does it have a reporting system, but it also does test-calls every day, to makes sure everything is running correctly. Â Every feature built into this award-winning software is amazing! Can easily be removed by formatting the hard drive. Not useful if not connected to the internet. Almost impossible to detect, unless you know exactly what to look for. Runs on Windows and Mac operating systems. Accurately tracks your laptop, with enough information to give to law enforcement agencies. Starts up as a SYSTEM process, therefore automatically opening the program on startup. Do you use any anti-theft software? Â If so, what do you use?